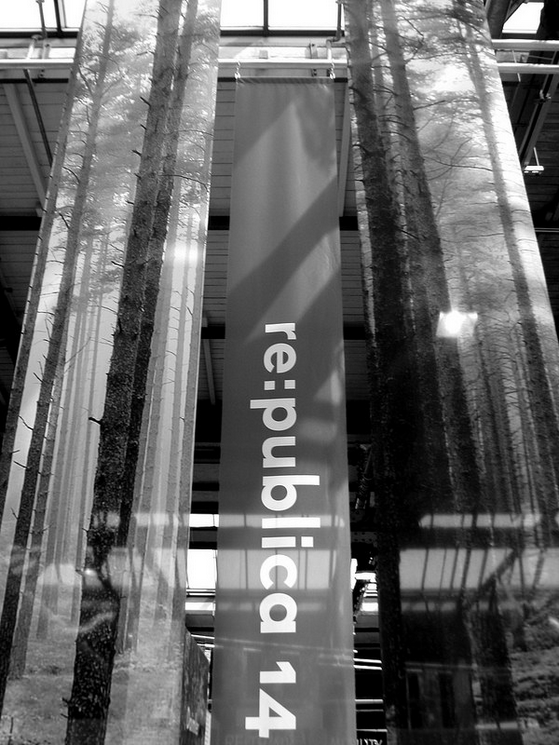 Re:publica is one of the largest and most exciting conferences about digital culture in the world, with 8.000 visitors at the anniversary edition re:publica TEN. 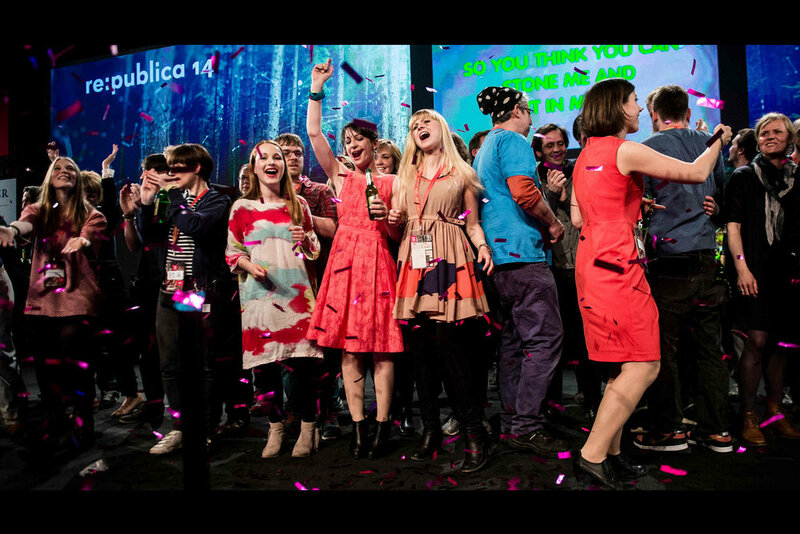 Not despite, but distinctly because nothing is as it once seemed, re:publica 14, explored the concept INTO THE WILD in search of unexpected technical solutions, surprising impulses stemming from business and politics in anticipation of a new, unbridled internet culture. "making the familiar strange, and the strange familiar"
When we are lost, we look for familiar elements as reference to find our way. By playing with the familiar/unfamiliar, known/unknown we wanted to encourage the visitors to look closely, and to observe the world around them with fresh eyes. To pause and question our habitual perception and thinking patterns. ROLES: ART DIRECTION, BRAND IDENTITY, DESIGN (ONLINE & OFFLINE), MOTION DESIGN, SET DESIGN, SPACE DESIGN AND INSTALLATIONS. 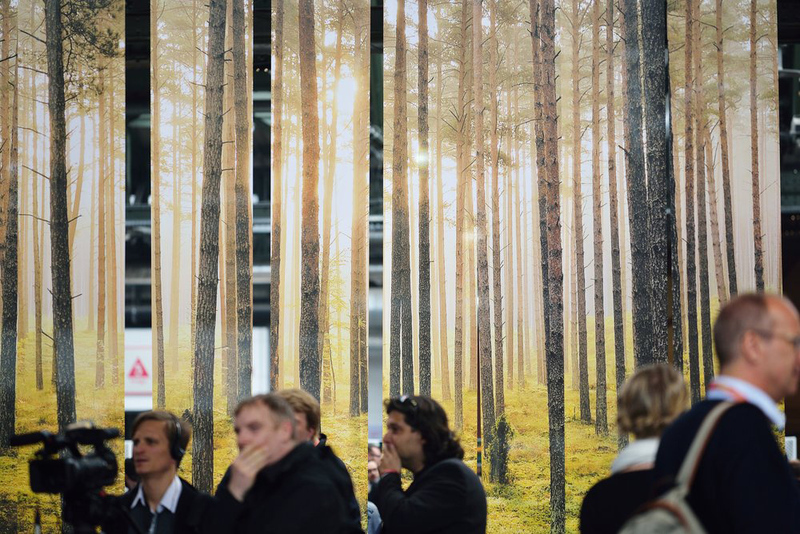 The visitors entered re:publica through the whiteroom and immediately found themselves to be part of the wilderness. With the help of a kinect camera they were able to play around with the animated abstract organisms. 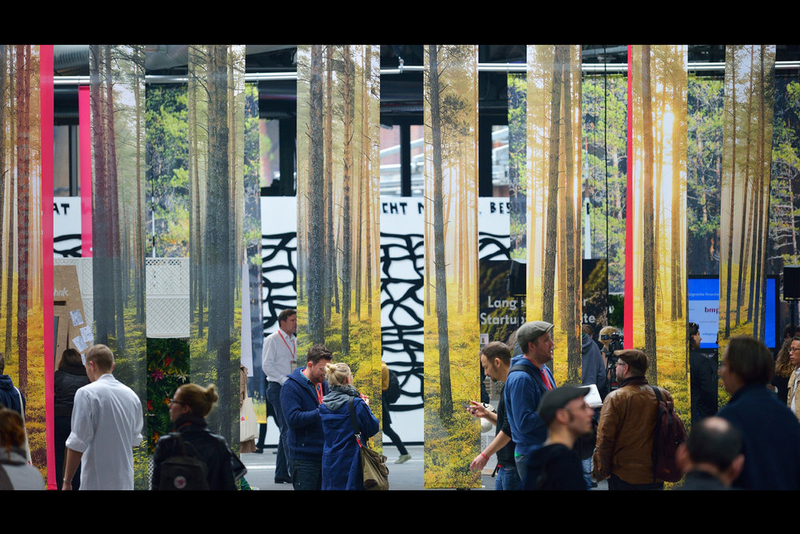 For the installation in the main hall, vertical prints were distributed in spatial depth to fragmentize and reconstruct the forest. 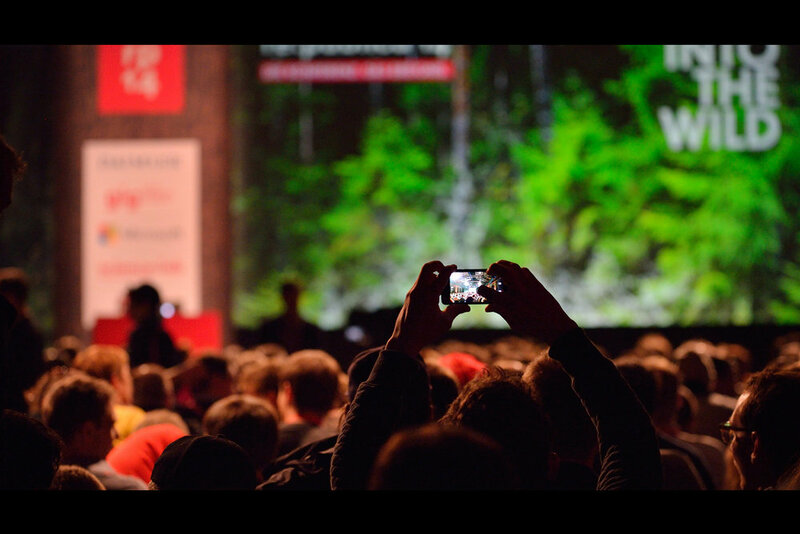 The picture breaks and comes together, depending on the position and perspective the observer takes. This huge installation was build in a circular way to represent a forest opening, were visitors came together in a safe and sunny place to meet and discuss which ways we should be going. 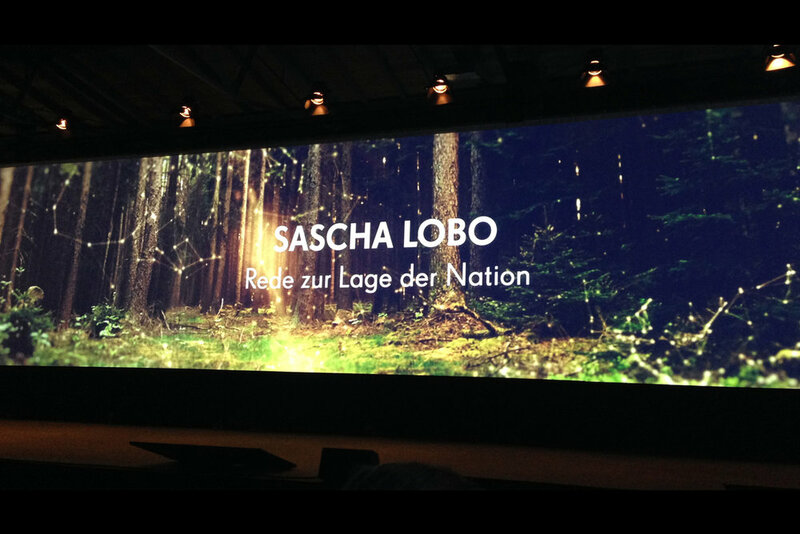 The concept for the massive main stage as well as the other 5 smaller stages was also to represent forest clearings, where speakers illuminated the different directions we can take to find our ways in the wild.